For those of you unfamiliar or new, Metal Assault is a blog established in February 2010 with the aim of reviewing hard rock and heavy metal bands’ music and documenting concerts through reviews. I, as the owner and editor-in-chief of this website, admit that not everything written by me or my writers is positive, but whether positive or negative, everything comes purely from honest opinion, nothing more, nothing less. I strive for honesty in my own writings and strongly encourage my writers to do the same. To me, there is no use or purpose of a review blog that only publishes positive reviews. It’s the negative reviews that make the positive ones more meaningful, because regular readers know that we aren’t simply playing favorites. In fact, I myself have expressed highly negative opinions on some of my favorite bands. 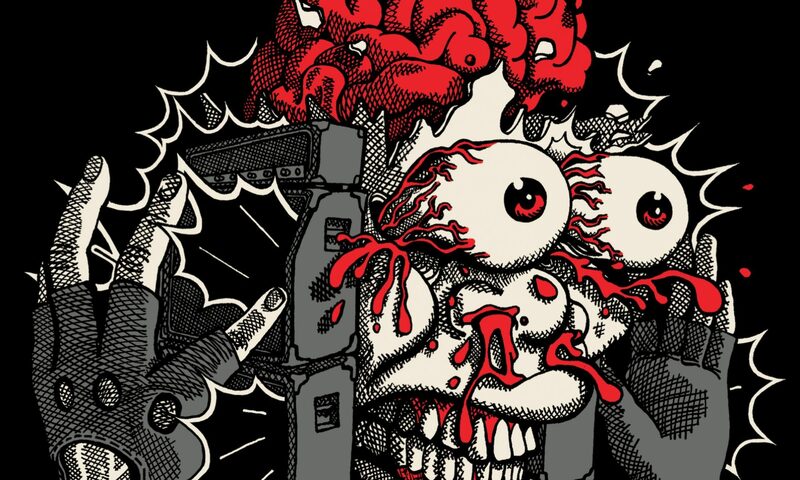 One such band happens to be Motörhead, and this is the story of how a really old negative Motörhead-related article unjustly led to a horrendous experience at the Rainbow Bar & Grill in West Hollywood. Grab your popcorn. Yesterday, on Sunday September 3rd 2017, I went to the Rainbow because the band I work for as merch slinger, Huntress, was on the lineup for the Rainbow’s annual Labor Day Weekend Backyard Bash. Why or how Huntress was playing in front of the biggest annual gathering of metal posers in all of la-la land and sharing the stage with terribly washed-up bands like Dokken, Enuff Z’nuff, Bow Wow Wow and Bang Tango, when Huntress is clearly much younger, heavier and far more relevant in 2017 than any of those bands, is beyond me. But that’s beside the point, and not important in this discussion. 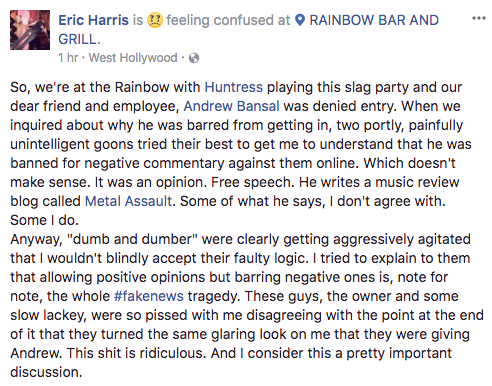 So, I am permanently banned from the Rainbow Bar & Grill and the Whisky-A-Go-Go. Why? Because I wrote an article more than a year ago expressing negative opinion on the then newly instated Lemmy statue. I think the statue and the whole initiative behind it is simply disgraceful, and I expressed an opinion which many might call strong, even extreme. 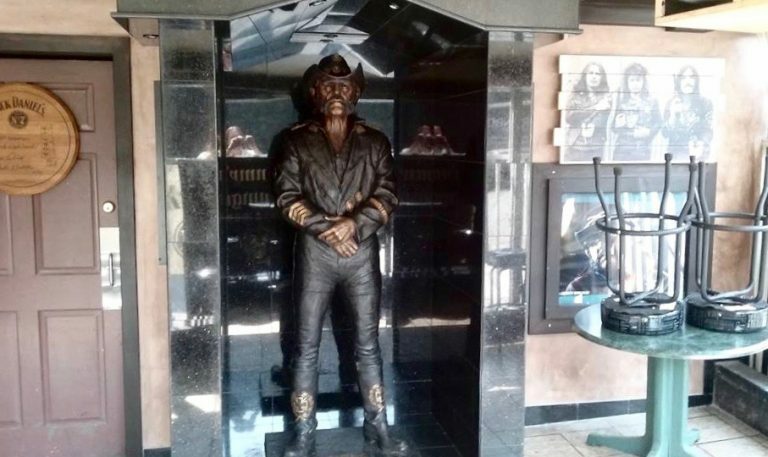 I am as big a Lemmy/Motörhead fan as any on this earth and I felt strongly about the statue and wrote an article to that effect. You may agree with it or completely disagree with it, but again, that is not important in this discussion. If anyone has the ability to read simple English, they can tell that my article was against the statue, not the establishment it stands in. I still do not know how, but my words were construed as me “trashing the establishment”, and apparently I was banned from the moment they read the article in late August 2016. To clarify facts further, there was no verbal or written communication from anyone running the venue to inform me that I was no longer welcome. I found out firsthand when I went to the Whisky for a Beasto Blanco show in November 2016, only to turn around and go back home. And to reiterate, Metal Assault has promoted and covered hundreds of events at the Whisky and written a much, much, much higher number of positive articles than negative ones. So, for an article that, again, did not actually trash the establishment, I was banned. Fine. I am a self-respecting human being and I would not go anywhere I’m not welcome. You certainly do not have to tell me twice. I must also reiterate that I was there yesterday solely as a working crew member, not as a general customer or even a journalist. Aside from yesterday, since November 2016 I have made no attempt to enter either of the two buildings. But, get this, I STILL promoted their shows on the site via concert listings on the calendar and tour dates page, and by sending other writers and photographers to cover their shows. I was not going to let my getting banned get in the way of covering bands that deserved it. But clearly none of this meant anything to Mikael Maglieri Jr and his goons, and they denied me entry for something so old (we have published hundreds of articles since that one). And quite frankly, I cannot be the only one who thinks the statue is a disgrace, and I cannot be the only one who has expressed negative opinion on it publicly. So, do the powers-that-be keep track of all this and ban all “culprits”, or is it just me who is being singled out? Also, if anyone has a clue of how PR works, look at how many hits that article got. Are you telling me that the article did not actually invoke enough curiosity in a lot of people to go to the Rainbow, pay to get in and have a look at the statue for themselves? Are you telling me that the article did not benefit the establishment and bring more business to them? If my article caused any financial damage to the Rainbow or the Whisky, I would like to see proof of it. On the contrary, I can tell you that I lost my day’s salary (plus tips) for not being able to sell merch yesterday (Happy Labor Day weekend, by the way). Plus I lost a whole lot of my time, with what turned out to be a wasteful 3-hour commute each way, plus of course Huntress did not make any money from merch sales either. Did I really deserve to lose money when I caused them no financial damage whatsoever? 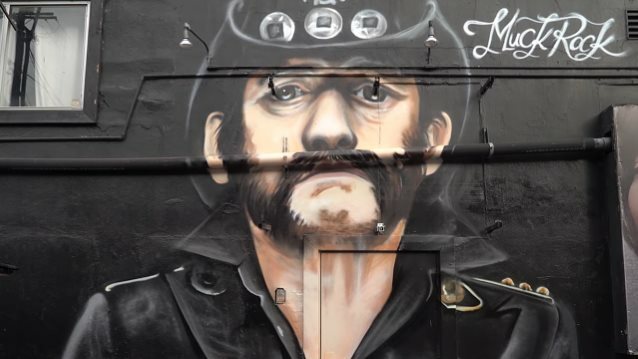 What happened yesterday made as sad as Lemmy looks in the mural you see on top of this page. From here on, I have no intention to ever enter the Rainbow or the Whisky, in any capacity. Metal Assault will not be listing Whisky concerts on its calendar and will not be reviewing any of their shows. By no means are we punishing the bands that play at this venue, because we will still promote the same bands in other ways, i.e. interviews, album reviews, and coverage of concerts in other venues/cities. Even though I already know my plea is falling on deaf ears, I strongly discourage bands, journalists and fans alike from giving this establishment any of your business. This establishment owes me money, a public apology and a whole lot more, and whether or not you agree with the article I was banned for, I do not see how anyone can disagree with this one. Thanks for reading, please give it a share. UPDATE: Lemmy’s best friend Scott Albanesius contacted me after reading this article, and had some things to tell me on the record. Read/listen to the full tell-all here.